STEM-based lessons provide ways in which students can learn through hands-on experiences as well as by absorbing information from lessons and from the world around them. In the STEM classroom, the teacher focuses on a series of open-ended questions and places a big emphasis on the students asking open-ended questions as well. When learning a new concept, it helps to have some previous comfort level. 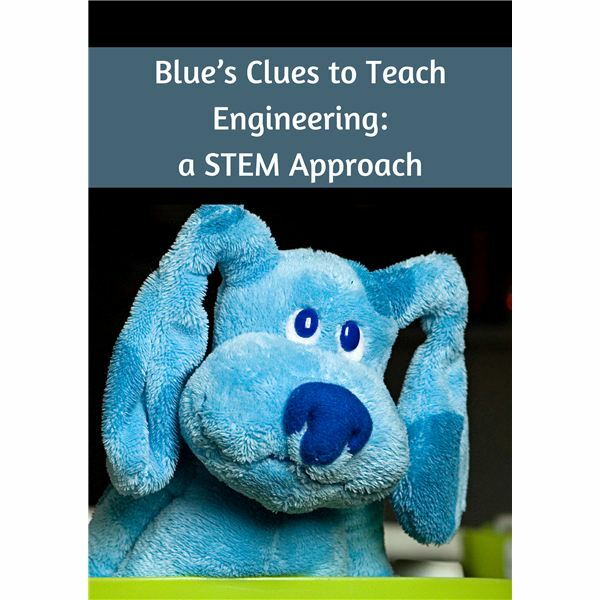 Since few preschool students have much working knowledge of engineering, why not use Blue’s Clues to provide them with a base for learning this new concept? The episode entitled “Contraptions” looks at simple engineering principles through use of different contraptions such as a hinge, a lever, a pulley and a ramp. By introducing these words and presenting a visual portrayal of how each of these devices work, students are given a chance to interact with simple engineering concepts and gain a better sense of how things are built. The first in a series of five articles based on using Nick Jr shows to teach STEM, this lesson looks at Engineering Principles. The downloadable worksheets, of which there are three, as well as the teacher resource sheet, will help make this lesson a success while employing the hands on and open-ended question techniques that are so essential for STEM learning. *The five Nick Jr lessons were developed through a “consultation” with a 3 ½ year old girl; my daughter. She watched each episode several times and these lessons have been used on her with excellent results.